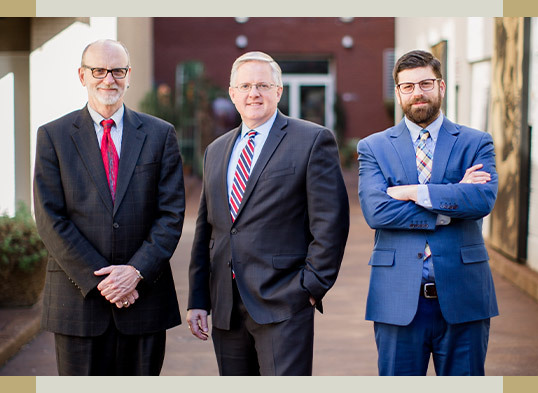 Transparent, efficient, and dependable trial counsel from your trusted civil litigation team in Chattanooga. You don’t want to make the mistake of going through litigation alone. At the law office of Cavett, Abbott & Weiss, our civil litigation attorneys serve as your legal advocate. Get in touch with us today and we’ll provide you with further details regarding our legal service in Chattanooga. At the law firm of Cavett, Abbott & Weiss, our civil litigation attorneys represent clients in all areas of real property and construction litigation, including disputes arising after the sale of property, mechanics’ and materialmen’s liens, bond claims, mortgages, leases, zoning, title insurance defense and claims work, quiet title actions, disputes over the sale of land, partition lawsuits, boundary line disputes, mediation, and arbitration. We also represent both institutional and individual clients involved in commercial disputes. Our law office handles partnership dissolutions, contract disputes, financing and funding disputes, insurance coverage issues, and general commercial matters. Learn more about our civil litigation practice areas below. It’s no secret that construction disputes can become costly in a hurry. Without dependable legal representation, your business could be turned upside down. But with so many civil litigation firms in Chattanooga, how do you know which one to hire for your case? This is where the law firm of Cavett, Abbott & Weiss comes into play. Our attorneys regularly represent contractors, developers, engineers, architects, insurance companies, tenants, sellers, and purchasers. Not only do we have extensive technical knowledge in construction defects, financing, design, and product liability, but also incomparable dispute resolution skills. Our litigation team is ready to take on your risk-prone case. So if you’re in need of someone who will work tirelessly to attain high-risk damage awards, get in touch with Cavett, Abbott & Weiss. What comes to mind when you think about real estate litigation? Frankly, this type of civil litigation can involve office buildings, apartment buildings, retail centers, and specialty properties. Keep in mind that real estate disputes can surface from the complex contracts of the various parties who have a stake in the property. As you might imagine, real estate litigation can get pretty contentious. That’s why we advise against trying to get through this situation alone. At the law office of Cavett, Abbott & Weiss, we have attorneys who have decades of experience dealing with the intricacies of real estate. From boundary disputes and easement cases to restrictive covenant cases and delinquent tax sales, our lawyers will be at your side every step of the way. Over time, contract disputes can lead to a negative impact on your company. So what’s the right way to go about resolving such disputes? At Cavett, Abbott & Weiss, our lawyers can assist with disputes over a contract’s terms, missed deadlines, lost profits, breaches, business torts, and more. Rather than assume that a lawsuit is your only option, give some thought to litigation. We often find that litigation is the best way for the parties to agree to direct negotiation, mediation, and/or arbitration. In the event that a contract dispute entails significant damages, our law firm can help propose settlement terms and review any proposed settlements in advance. Don’t let a contract dispute get the best of you and your company. Instead, team with an attorney you can trust at Cavett, Abbott & Weiss. Are you currently involved in a title insurance dispute? What’s unfortunate about this kind of conflict is that it can impact various parties, including lenders, property owners, and underwriters. Without timely resolution, a title insurance dispute can be quite a hassle. Fortunately for you, we have several lawyers with extensive experience with title insurance litigation. Perhaps your case involves negligent disbursements of a construction loan, fraudulent transfers and mortgage satisfactions, or liens and lien priority issues. In any situation, you can count on the law firm of Cavett, Abbott & Weiss to have your best interest in mind. Have questions about materialman’s liens as a whole? The law office of Cavett, Abbott & Weiss is ready to get started with your case. Get in touch with us today for more information. A mechanics’ lien can prevent you from selling your property or getting a loan. Instead of trying to navigate the murky waters of mechanics’ liens yourself, consult a civil litigation attorney instead. The law office of Cavett, Abbott & Weiss is here to walk you through every step of the process! Here at our Chattanooga law firm, we understand the ins and outs of civil litigation. You can rest easy knowing that we treat every client like family, working tirelessly to achieve the best possible outcome. See what makes us a preferred civil litigation law firm in Tennessee.